This little cafe and takeaway is in the most fab-tastic position on the walkway from Dee Why Beach to the marvellous rock pool. It has been created in the surf club’s old boat storage shed, and has seating inside and outside along the walkway. The cafe is just below the excellent fully fenced playground at Dee Why, one which is especially good for younger children. So all in all, what a winner and a great one to add to our list of best beachside cafes on the Northern Beaches. The atmosphere is super relaxed and casual, so feel free to turn up with bare feet and sandy legs. The blackboard menu changes regularly but can be relied upon for the sort of breakfast you need after a swim or a surf….. or chasing the kids around the beach after an eye-wateringly early morning wake up from the little darlings. The inside of the cafe is small so parents with prams will often be best suited to the outside tables. Or just order at the takeaway counter and sip and munch at the playground. I put two photos together to make this collage. We have done some surfing lessons at Dee Why this year too. We can park for free there and it’s our closest beach, so all in all a top spot for my family…. and did I mention the gelato bar on the strip, not to mention all the lovely restaurants, we must get down there for dinner too some fine day soon. Happy kid-friendly cafe hunting, please do let me know of your faves! This looks like a great spot!! We are looking for some beachy spots to go to while the kids are still are holidays. This might be perfect! Hello Mandy, on Monday I’m putting out a list of 11 great Northern Beaches cafes on the beach, this is one of them of course. So stand by! Love a cafe with a view. 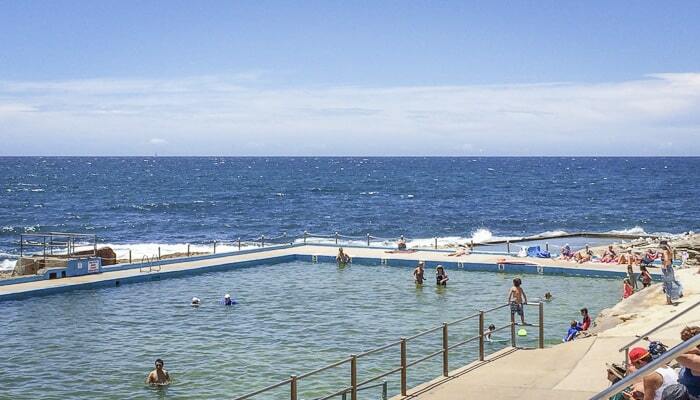 Love Dee Why Beach- I saw this cafe last time we were there and it was packed! Hi Seana, thanks for the lovely images of Sydney! 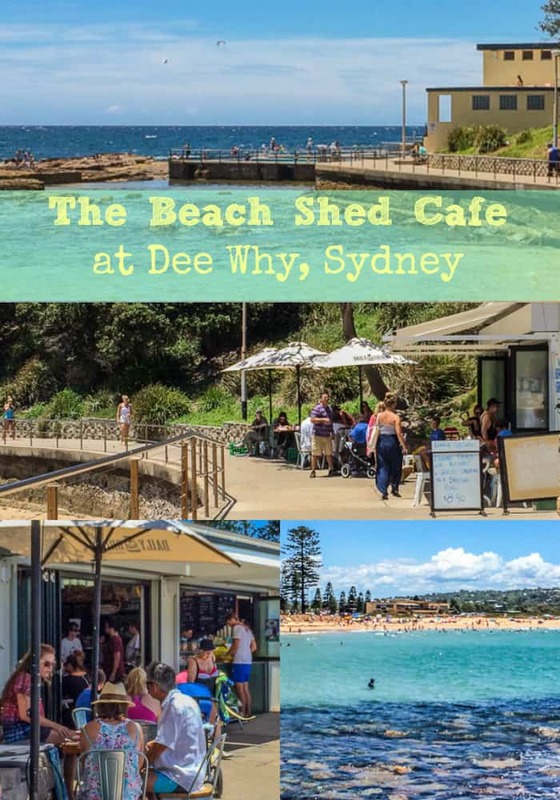 I am missing Sydney at the moment so it’s great to read this post 🙂 The Beach Shed sounds like a great package- free parking, gelato?? I’m in! Fantastic post Seana. I absolutely love this beach it’s one of my favourites too. I will have to try out the café next time I’m there. Thanks for sharing. Hello Adele, thanks for kind comment. We were there this week with the kids doing a surfing lesson. 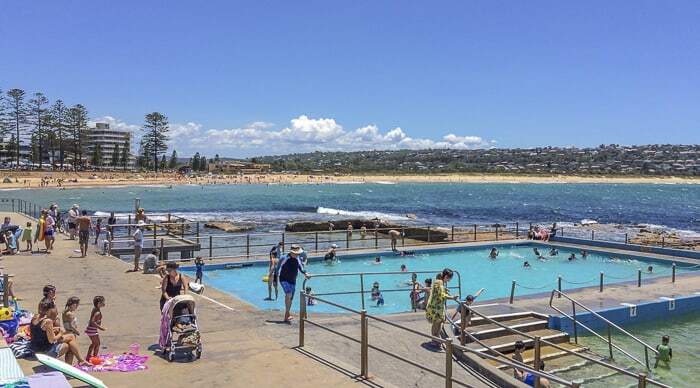 We reckon it’s the closest beach to our house, and we can usually get a park and that’s free cos we live in Warringah so it’s win and win again for us. Love the cafe!